Trilogy in Summerlin by Shea Homes will hold a grand opening for its new resort club, today, Saturday. The celebration will run from 10 a.m. to 4 p.m. with live music, chef demos, wine and beer tasting, art experiences, fitness demos and food trucks. Trilogy in Summerlin by Shea Homes will hold a grand opening for its new resort club this Saturday. The celebration will run from 10 a.m. to 4 p.m. with live music, chef demos, wine and beer tasting, art experiences, fitness demos and food trucks. Be among the first to tour the two-level club and get a feel for the lifestyle that Trilogy homeowners are living every day. 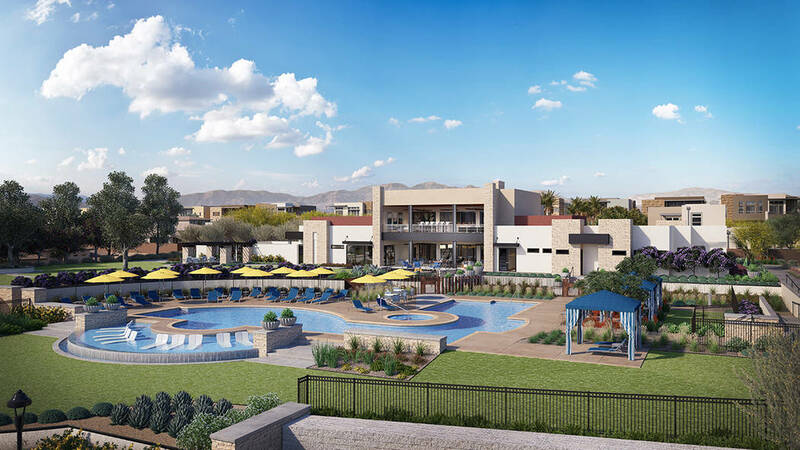 Outlook Club features a culinary studio, fitness center, sports and media lounge, art and movement studio, resort pool with cabanas and bocce and pickleball courts. Just 15 miles from the glitz and glamour of downtown Las Vegas and minutes from Summerlin’s vibrant town center, Trilogy enjoys the best 55-plus community in Summerlin. Designer shopping, world-class dining, and endless entertainment are all within a short drive. Miles of walking, biking and hiking trails and the beauty of Red Rock National Conservation Area are nearby. And, when you want to stay even closer to home, there’s so much to offer right within Trilogy in Summerlin. With the opening of Outlook Club, Trilogy homeowners will have daily access to resort-style amenities and innovative social spaces that are designed to bring people together. Host a cooking night with neighbors in Amelia’s Kitchen. Find some friendly competition on the pickleball courts. Get creative in Hues Art Studio. Make the most of the sunshine and blue skies with an afternoon dip in the resort-style pool. Or gather with friends for evening cocktails at The Overlook and take in the beauty of the Las Vegas Valley. Trilogy in Summerlin is an exceptional place to live and play. While you’re at the grand opening, take some time to tour Trilogy’s six new model homes. Trilogy in Summerlin features 13 attached condominium floor plans, including paired courtyard homes and patio homes — all of which offer main-level living with modern, open spaces that embrace an indoor-outdoor lifestyle. From 1,538 square feet to 2,915 square feet, these floor plans live like single-family homes with all the conveniences of an upscale condo community. A variety of options such as casitas, guest suites, bonus rooms and private elevators let you create the home that’s a perfect fit for your next chapter. Call 800-685-6494 for more information on the grand opening celebration, or to schedule a private tour.